My son (10) cannot cope with his teacher. He used to be a very ambitious student. But, in the last six months, since he has been having this teacher, his results have deteriorated from “Very good” to “Will he have to repeat the year”? Also the grades of the class are below average. He often comes home from school crying. Once he even had a migraine attack. I have the angel symbols for children at home. Which one shall I put in his trouser pocket? Or are there any other tips? There is urgent need for action. It should not be possible that within such a short period of time a child gets so much worse at school and that most of the other children have the same problem. Obviously the teacher can’t provide the information in a way that the children understand it. But this is her task. It would be very important that all the parents of the class sit together and talk about the situation. Afterwards the parents’ representative should either talk to the teacher or to the headmaster. You could lay an angel circle with the angel-symbols 1-49 at home (you find instructions in the book to go with the symbols). Additionally you can draw a card for the teacher and put it on a sheet of paper with the teacher’s name. Before every exam or test you could lay an angel circle. You get active and talk to the teacher, explaining to her how bad your son feels. If this does not work, find parents with similar experiences and inform the Headmaster about the situation. You can also talk to the district authorities. This all takes time and energy and you don’t really know if it is worth doing. Therefore you should think about other options. Why don’t you put your energy into finding a new and better school? There are so many wonderful schools with dedicated teachers. Get information. A change of school does not mean that you have failed.It means that you want to make your son’s life easier and that you make use of your freedom of choice. If possible, take your son into the shop with you so that he can choose another angel-aura-essence intuitively. Then there is the angel-combi-oil no. 22/Doriel. It helps with fears of school and stage fright. In the morning and evening your son can massage a few drops on the solar plexus (over the navel) or on the soles of his feet. Get the book “Healing Angel Symbols” by Ingrid Auer. The book tells you how to lay angel-protective-circles. You could lay an angel-protective-circle for your son, the whole class and the teacher. It might be interesting to give the teacher the book “Engelsymbole für Kinder” by Ingrid Auer. This gives her the chance to get in touch with the topic of the “Children of the New Age” and she could open up for new impulses. As a mother I often wonder: Have I done too little for my children? Where have I gone wrong? Have I failed? I have got children who love to play, love nature and have fun. With my older one (now 14) Ritalin was a topic. Now he is a balanced and sensitive person. I feel helpless, misunderstood, failing and angry. Nevertheless I feel a voice deep inside me saying that the children are on the right way. But how can I keep this feeling despite all the negative energies coming from the school? Dear mother! I know what you mean. Our school system is ill. Please, do not get infected yourself. The children of the new age need more room for their personal development. Many teachers do not understand this. Try to find positive aspects. Dear Mum, let yourself be hugged by the angels! You are a wonderful mother and have given your best in the education of your children! I can feel so much love and responsibilities between your lines! Believe me, we mothers all have similar doubts and questions. And in the end we can’t do more than love our children unconditionally! Trust your inner voice which you can hear so clearly. It is the voice of your angels and your spiritual guides. You are lucky to feel the inner impulses so strongly. Try to improve these abilities by getting into contact with the angels for some moments every day. The more you trust in angelic guidance, the more your self-confidence grows which gives less and less room for doubt and helplessness. the Angel-Aura-Essence “Archangel Michael” or the Angel-Symbol “Archangel Michael” for protection and courage during the talk with the head. Master-Aura-Essence “Sananda” for friendliness and good manners during the talk. Master-Aura-Essence “Maria” who is the most loving mother of all children. As we are all God’s children, she is also responsible for this lady. I think she will soon feel that there are a lot of angels around her. She only has to let it be. As a mother of three children, I recommend you: what is important to me in accompanying my daughter? Can I live with the thought that teachers forbid a topic which is so present and important for us? What belief does the kindergarten approve? Am I behind it? 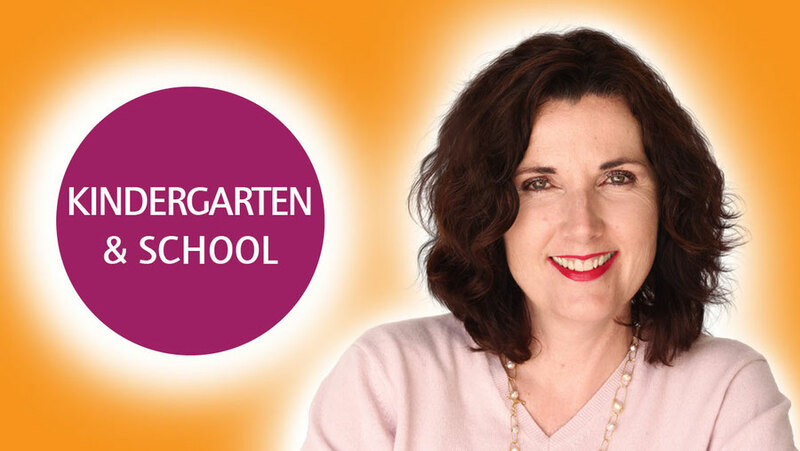 What kind of educational concept does this kindergarten offer and do I agree with it? If I want my daughter to grow up freely and independently, talking about angels, belief and spirituality, is this kindergarten suitable for us? What concept would suit us more? Can I live with this kindergarten’s ideas or is it the starting signal for a change? Of course, you can explain to your child that not everybody is open for angels. But a child in the kindergarten can’t really follow this cognitively. I assume you have already tried to talk to the head of the kindergarten about this topic. Maybe you should try again. However, lay an angel circle with the Angel-Symbol-Cards 1-49 and the Angel-Combi-Symbols “The Seven Helpers in Need” before, for a good and positive talk. I also recommend you write the name of the head and your child’s teacher on two sheets of paper and draw two angel cards. Put the cards on the names and leave them for some time. Ask the head when you talk to her, she should try to look at angels as neutrally as she looks at a flower. We talk about guardian angels and find it completely normal, so why should your child not talk about angels? I would not forbid your child to talk about angels. It is so wonderful if children can keep their access to the angelic world until they grow up. Can you wish for a better guidance in life? You child would also feel she is not allowed to be true and honest, which would surely make her (as a child of the New Age) suffer. Dear Gabi, we all have different opinions, truths and beliefs and it is not always easy to explain things to our children, which they cannot comprehend with their understandings. It is wonderful that your daughter is so connected and has such a strong belief. She cannot imagine that other people don’t feel the same. Of course it is understandable that she only wants to talk about herself and her “world”. It is something special if young people want to talk about themselves and therefore take part in life. It is a shame that the kindergarten is so closed and forbids the topic angels. If I was in your position, I would talk to the head and teachers. For you it would mean to take on responsibility. Before the talk you could lay a protection circle from Angel-Symbol-Cards. Write down your wishes, phrase them in connection with freedom of opinion and expression, respect and value of freedom. The head of the kindergarten should be made to think about the consequences of forbidding. The topic of communication is often wasted in our society and our partnerships. Teachers should be curious, they should want to talk to the children, listen and not judge. Children should learn to be able to talk about whatever they want, at all times. They should not be judged because of their opinion. Talk about these values without mentioning angels. Yes, this is truly a difficult situation. Our first reaction was to take your child out from this kindergarten as quickly as possible. But such things always have a background. We would talk to the head of the kindergarten asking her why the children are not allowed to talk about angels. Nobody should be forbidden to do so. We would cheekily give her a set of the children’s symbols and tell her how to use them.